Ready for snuggle time! 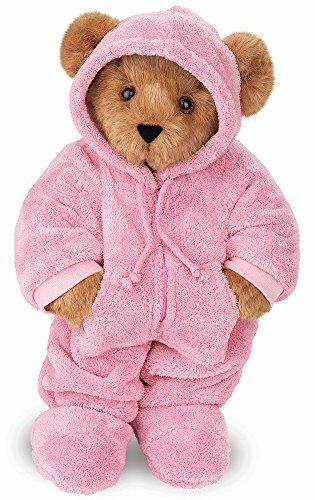 Beyond cute, our Hoodie-Footie Bear is among the most heartwarming gifts anywhere. A real bundle of love, this Teddy Bear inspires ear-to-ear smiles and gently reminds people to kick back and relax. Handmade in Vermont, USA using the silkiest fur we can get our paws on; smooth, faux-suede details and 100% recycled stuffing. Guaranteed for life.